Okay, maybe not THAT long ago… but a long time ago nonetheless. 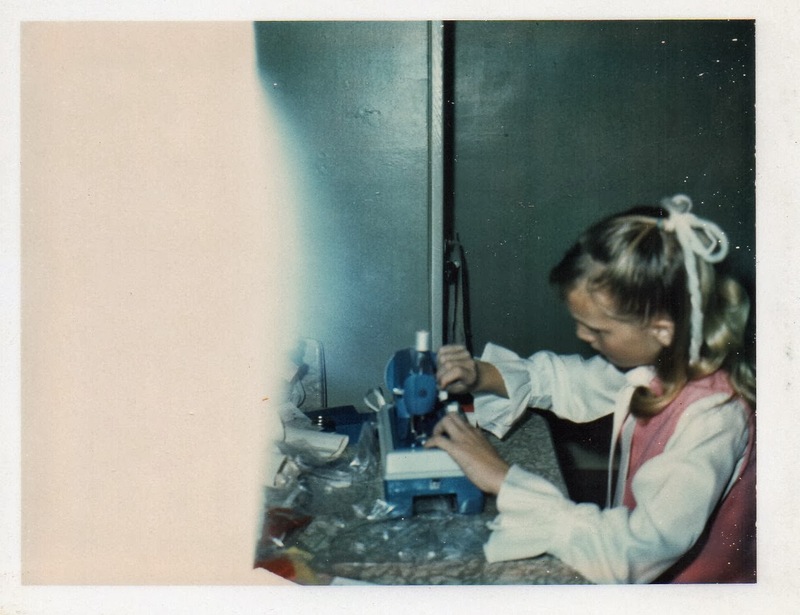 I was looking through photographs at my Dad’s, trying to find a specific one, when I happened on these pictures taken of me with my first (toy) sewing machine. 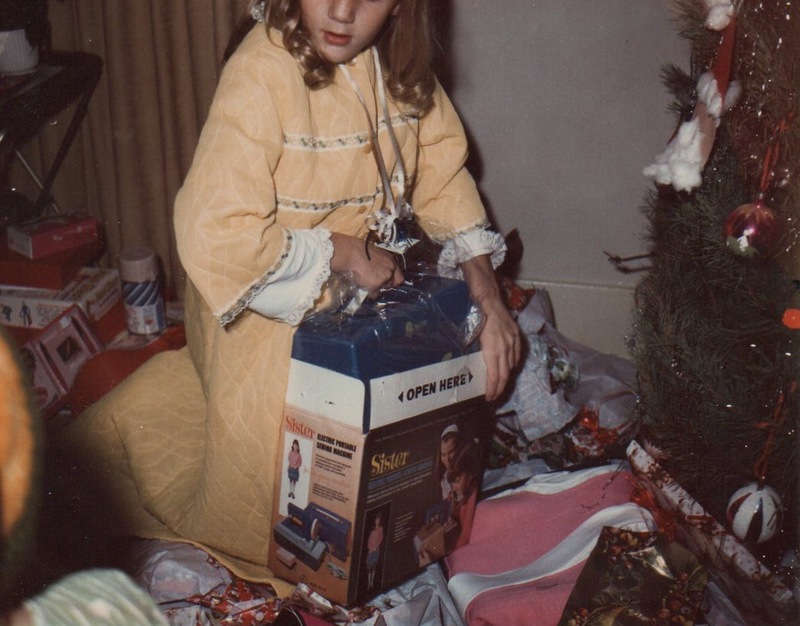 It only sewed a chain stitch but just a few years later a Sears Kenmore showed up under the Christmas tree! Back then sewing was a utilitarian skill to me and I mostly used the machine for hems and the occasional craft project. Who knew what wonderful creative freedom and inspiration was to be found in the world of textiles? Not me – although I was a textile major in college for a half (?!) semester, I still didn’t recognize the potential or my passion for the medium.